iOS App Reviews & Podcast Review for iPad! Earlier today we released an update to our AppReview360 app. 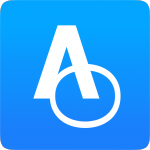 AppReview360 makes it really easy for App Developers and Podcasters to track all their iTunes & iPhone, iPad & Mac App Store reviews. By bringing reviews from every country together into one feed, AppReview360 allows the developer or podcaster to scroll through reviews, filter, and even translate foreign reviews at the tap of the screen. As notifications appear you are alerted. No need to keep checking, AppReview360 will do the work for you, freeing you up to get on with productive work. In this new version, we have added iPad support, as well as the ability to scroll through detailed reviews directly. Start managing your reviews today with AppReview360 for iPhone and iPad.